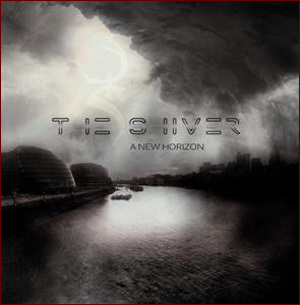 The Shiver was born in 2005 when Faith (singer and composer) joined forces with Finch (drummer) to create a new project. After some promotion of the first demo “Shade’s Changing” Carlo Bellotti noticed the band and decided to include The Shiver in Alkemist Fanatix Europe’s roster. In 2007 The Shiver signed a contract with UK Division Records (UK) that released their Debut Album “Inside” in Januar…y 08 with a worldwide distribution and promotion. After many Italian gigs the band was ready for the first tour abroad, so they played the first tour in the UK. English people immediately liked The Shiver’s music and local newspapers talked about them (The Guardian, The Chronicle). After that, the band received some amazing feedback from the music press, appearing on many music Magazines and Webzines. The band has been featured on Rocksound (UK), Gothic Beauty (USA), and Big Cheese (UK). Faith’s interviews appeared on Rocksound (ITA), Fireworks (UK), Flash Mag (ITA), Benzoworld (ITA), Ravenheart Music (UK), Metalwave (ITA) and Finch is mentioned on Percussioni (ITA). The songs “Edge of Atmosphere” and “Symbiosis” were chosen for the Rocksound, Fireworks and Big Cheese samplers and broadcasted on many web radios. During summer 2008 Faith composed new songs with the help of Finch at the drums. The new sound is fresh, dynamic and marked by a particular style and they decide to book the studio and record a new Album. In October the band was again on tour, this time for some special Halloween gigs in London, Manchester and Liverpool. In December ‘08 The Shiver begins the recording session at Westlink Studio (PI). Faith and Finch cooperated, for this album, with Alessandro Paolucci (Raw Power) as producer of the Album and bass player, while the guitars are played by Stefano Tocci (Incoming Cerebral Overdrive). They played Faith’s songs and contributed to songs arrangements. Waiting for the mastering, the band will be on the road again touring Est Europe and UK. The Shiver is a young band, with the intention to make it in the music world.